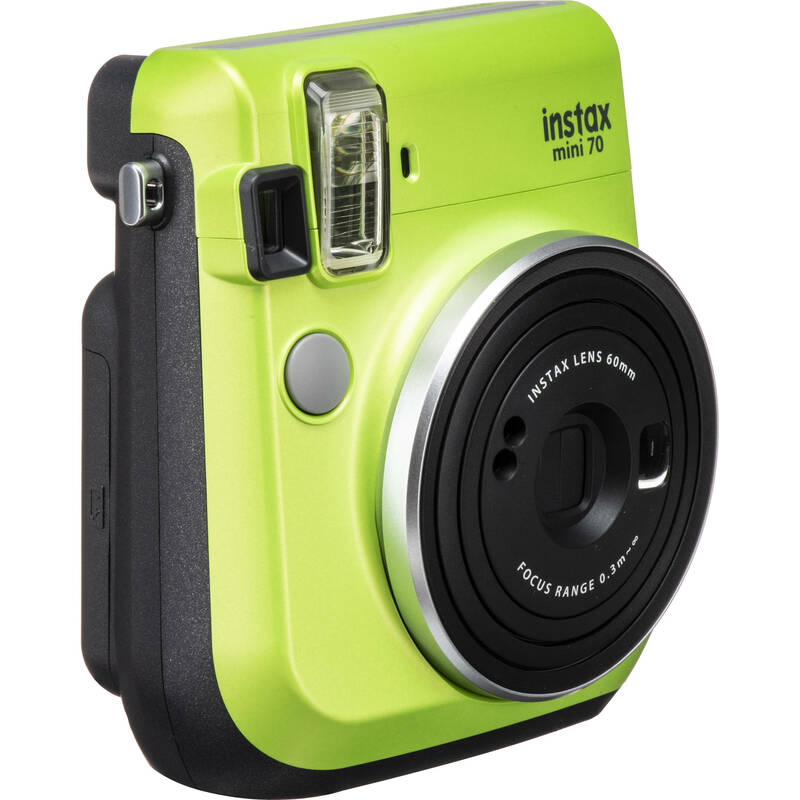 Designed for the selfie enthusiast, the kiwi green INSTAX Mini 70 from Fujifilm is a sleek camera characterized by a range of features for self-portraiture and sharing your instant credit card-sized prints. The camera's design incorporates a retractable two-element Fujinon 60mm f/12.7 lens that permits focusing as closely as 11.8" in macro mode. The optical real image viewfinder has a 0.37x magnification along with a target spot to aid with composition, and the front of the lens incorporates a small mirror to also benefit more accurate selfie compositions. Box Dimensions (LxWxH) 6.85 x 4.55 x 3.35"